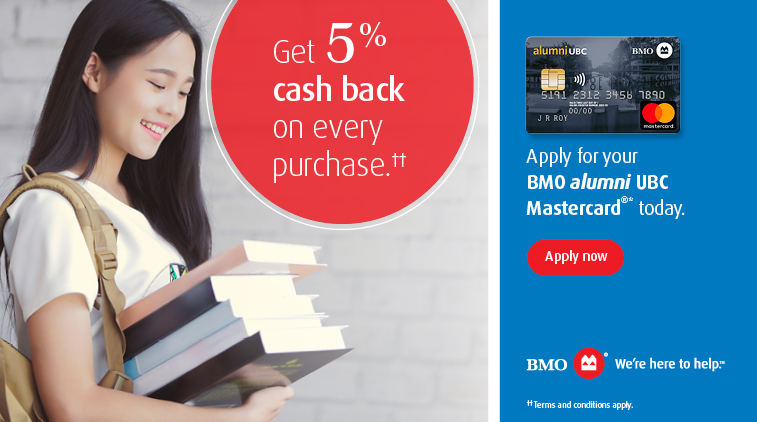 Reward yourself and support valued programs and services for the global alumni community every time you use your BMO alumni UBC Mastercard. alumni UBC provides a rich assortment of valued programs and services for University of British Columbia alumni. By getting the BMO alumni UBC Mastercard, every time you use it, you show your school pride and help support alumni UBC activities.